Sign in to your Facebook account and go to Follow|Facebook. Here you’ll see a button named “Turn On Follow” button. Click this button to on activity of follow button to your Facebook profile. After that you will see the given screen to manage settings for your followers. Lets give a look at image. That’s it! Congrats now you have done. 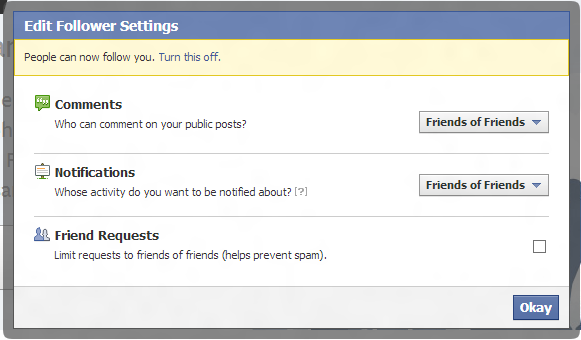 Check the button you have added to your Facebook profile by viewing your profile as public. Now number of people can follow your updates and you can increase your followers list to get fame. Leave a comment if you have trouble somewhere in the procedure. Has the process changed ?